This Week’s Writing Links chronicle life being breathed back into the stalled Y:The Last Man movie project, how to end a novel with a punch, a literary map of the US and Jeff Bridges’ soon-to-come book of Zen musings. 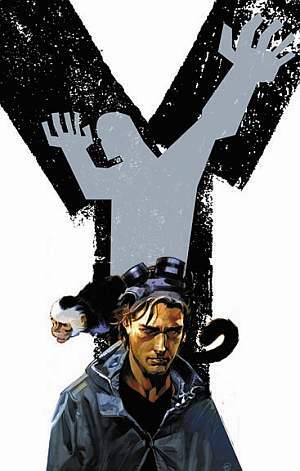 I wouldn’t mind seeing a Y:The Last Man movie, if not just for the possibility that it would expose the graphic novel to a new audience. I feel like that would be worth the price of a movie adaptation, even a bad one, if it exposes the book to new people. I certainly know there will be some people who disagree with me on that, especially since the early rumor was that Indy ruiner Shia LaBeouf would star in the lead role as Y. Ultimately, I think Y is a very difficult book to adapt to the screen, but if done correctly, it could be a really good film with the source material they have at their disposal. Although I would argue that it stands a better chance at succeeding if it maintained its serialized form ala The Walking Dead in a tv adaptation, a couple of movies could probably do it justice. I suppose we’ll have to wait and see. Otherwise, I hope everyone’s writing is going well and expect that goals are being met, revisions being made confidently and new chapters being spawned as we speak. I am personally achieving none of the previously mentioned things this week, but I am taking a break to read more, watch lots of college basketball and enjoy the unusually (and somewhat suspicious) nice March weather in Chicago. And truthfully, I do not feel bad at all for taking this time off. Sometimes you just have to take a break. And now, as promised, links!